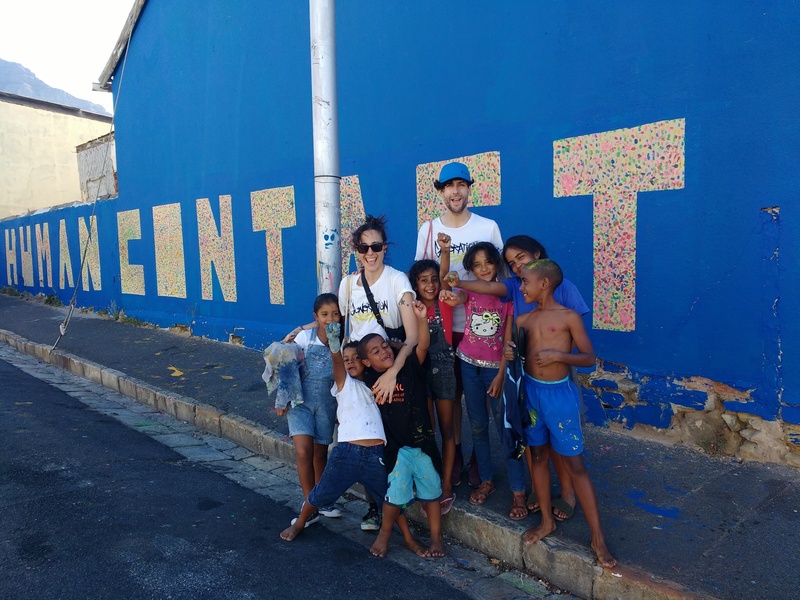 BAZ-ART was pleasantly overwhelmed by the volume of interested artists from home and afar wanting to volunteer for our annual International Public Art Festival [IPAF 2019] which took place during February in Salt River, Cape Town. We narrowed down to an ultra-diverse group of local and international artists from varied levels of experience to each create a unique visual story that relates to the theme “GENERATION NEXT: EDUCATE; COLLABORATE; EMPOWER”. The final line up included artists from Spain, France, Mexico, Germany, Brazil and the United States alongside some wave making local artists from South Africa. When asked for feedback, we had the most heartwarming response from the artists thanking us for providing the platform that encourage exchange among artists and between artists and the community. Their highlights were mostly about their experience with the community and getting to meet and exchange industry thoughts with other artists. Most of the participating artists shared incredibly rich moments with their homeowners, kids and members of the community. Inspiring some to make a move, take a class and learn the craft and sharing culture through food, storytelling and language lessons. The community element was by far the most cherished element of the experience for most artists. Kippermillsap from the states expressed: “It was truly an honour to give back to a man that gives so much to the people in his community” sharing his gratitude and appreciation for his wall owner who was such an incredibly generous soul. Other artists exclaimed how eye opening and awe-inspiring it was to work so integrated in the community- feeling as if they were members at the end of the festival. 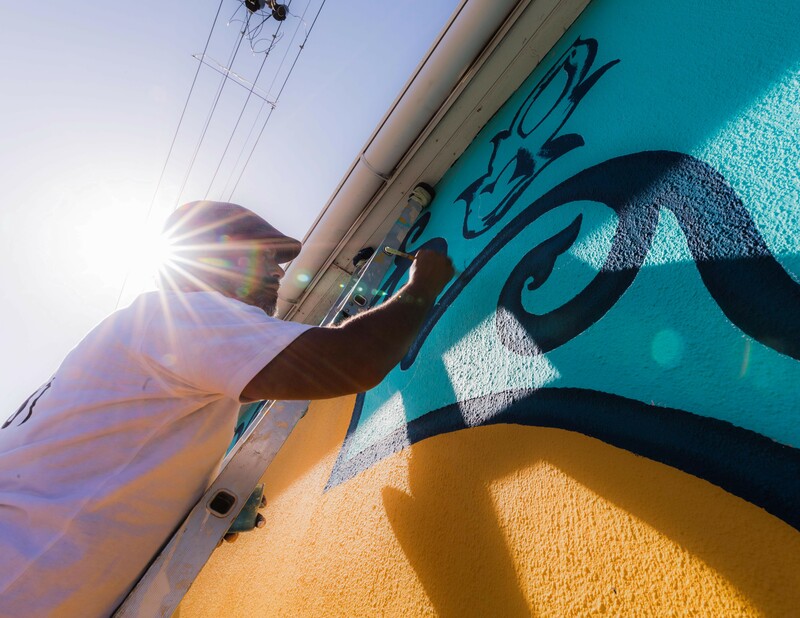 Another highlight for most artists was the privileged of getting to meet and work alongside so many talented individuals, doing what they love most, creating murals. “Being around so many vastly different talents, there is no way to leave without being somewhat changed” exclaimed one artist. Another mentioned that being in the space forced him to reflect upon his skill and technique- giving him a level up- the ultimate “confidence booster”. The network encouraged them to think global and to set more audacious goals. The prime intention of our organization is to serve as a connecting agent, unifying communities, local businesses, artists to connect beyond the scope of the festival. We value each artist that contributed to the success of the festival and wish them well on the shared mission- using art to transform lives. If you’re a budding artists, wanting to take the streets, stayed tuned for more information as to how you may get involved!